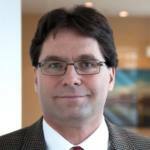 Robert Hornung has been President of the Canadian Wind Energy Association (CanWEA) since August 2003. He represents the interests of more than 200 companies who are Canada’s wind energy leaders: wind farm owners, operators, and project developers, wind turbine manufacturers and component suppliers, and a broad range of service providers to the industry. Robert also serves on the board of the Global Wind Energy Council. The Canadian Wind Energy Association (CanWEA) was established in 1984. It is the voice of Canada’s wind energy industry, actively promoting the responsible and sustainable growth of wind energy in Canada and serving as Canada’s leading source of information on wind energy’s social, economic, health and environmental benefits. 1- Although domestic demand for electricity is relatively flat in Canada, decarbonisation of the grid in Canada and the United States, and the potential electrification of the economy present great opportunities for wind energy. 2- Technological evolution has led to a 70% price reduction in wind energy, and big data is improving the efficiency of turbines tremendously. 3- All forms of renewable energy will play a role in Canada’s transition to a 100% decarbonized grid. Regulatory and market frameworks need to keep up with the pace of technological innovation in renewable energy. The electricity grid will look completely different 10 years from now, and our current system is not equipped to handle that transformation. How competitive is wind energy in Canada and what are the factors driving wind power’s technological evolution? Wind energy is now the least expensive source of new electricity in Canada. The government of Alberta held a procurement process in December during which the winning bids came in at a weighted average of $37 a megawatt hour, or 3.7 cents a kilowatt hour. That price is lower than that of any other source of electricity that could be built today, and is a product of continuous improvements within the wind industry. The cost of wind has declined by almost 70% in the last eight years. One of the early criticisms of renewables was that they were expensive and it would be too costly to make the transition. That is no longer the case, and as a result, governments and a growing number of corporations are seeking to connect with and use wind energy, simply from a cost standpoint. Wind energy has been the largest source of new power generation in Canada for the last decade. Technological evolution is at the heart of the price reduction. Turbines have gotten larger, which has allowed better access to wind resources and higher output. Longer blades capture more energy; if the blade lengthens by 10%, the area that is swept by the blades increases by more than 10%. The materials used for building wind turbines have also gotten lighter, thus reducing costs. Moreover, the introduction of big data is instrumental in managing the efficiency of the fleet and ensuring that wind turbines make the maximum use of the wind going forward. Recent technological evolution has also enabled wind turbines to operate in lower wind resource areas. These developments have opened up new opportunities in areas where wind turbines could not have been built 10 years ago. How competitive is Canada’s wind energy industry across its value chain, in terms of developing, commercializing and exporting technologies? On the manufacturing side, Canada does not have a domestic wind turbine manufacturer. It has manufacturing facilities owned by multinational companies, which build towers, blades and other components. On the other hand, there are a number of services that are provided to the wind turbine industry in which Canadian firms have broken new ground. Canada will be able to export technologies and skillsets in a diverse range of areas including wind resource assessment, wind farm construction services and wind turbine operation in cold climates into other jurisdictions going forward. The international demand for this kind of technology is growing hand-in-hand with the growth of wind energy itself. Wind has grown by more than 20% a year on average over the last 15 years on a global scale. When I started at CanWEA 14 years ago, Germany, Denmark, and Spain were the leaders in wind energy. Now, we see rapid growth in developing countries. Countries like Brazil and Argentina in Latin America, as well as South Africa, are showing rapid growth. China has become the largest wind energy producer in the world. But new opportunities are emerging in Mongolia, the Philippines and Thailand as well. So the global wind energy industry is far from having reached its peak. Canada also has opportunities to export clean electricity south of the border since the US has a much more carbon-intensive grid than Canada. The state of Massachusetts just undertook a competitive process in which Canadian wind and hydroelectricity were both significant participants. New York also wants to move from 25% renewable to 50% renewable by 2030, and that is also a significant opportunity for Canada. Canada is presently 9th in the world for installed wind energy capacity. If wind energy is the most cost-effective source of power and it is experiencing demand growth, why does only 6% of Canada’s energy come from wind? That is because Canada already has a lot of power generation infrastructure in place, which is based on other forms of energy, that have lifespans that can range from 20 to 100 years. Canada is one of the largest electricity producers in the world. We also export a significant amount of electricity. However, growth in the domestic demand for electricity in Canada and in much of the industrialised world is flat, barely increasing or falling. That is a product of improvements in energy efficiency, macroeconomic restructuring from heavy industries to services, and the 2008 financial crisis. So, new domestic demand–led opportunities in electricity generation are rare. However, new opportunities are emerging from decarbonisation, which is a big driver of wind energy’s growth. Canada already has a grid that is largely decarbonised; 80% of our electricity emits no greenhouse gases. Intensive greenhouse gas emissions from electricity production, however, can be found in Saskatchewan and Alberta, where there is still a significant amount of coal being used. These provinces are planning to decarbonize their grids with a heavy reliance on wind. But in other parts of the country, where renewable sources, mainly hydro, already generate 90% or more of electricity, new opportunities are going to emerge only through growth in electricity demand. Economic growth is unlikely to usher in that kind of growth, but electrification, that is, replacing fossil fuels with electricity in order to decarbonize our entire economy, will be a significant opportunity for wind energy. Canada is well positioned to potentially become a world leader in electrification. But since it takes a long time for such systems to turn over, we are not going to see a doubling or tripling of electricity demand immediately in response to electrification. By 2050, however, this will need to happen if Canada is to meet its greenhouse gas emission reduction commitments. In terms of the electrification process that has to take place in Canada to accelerate the energy transition, which drivers would you identify as the most important? We are right in the midst of putting in place the foundational measures that will be required for the energy transition. The most important one is carbon pricing. A number of jurisdictions in Canada have moved forward with carbon pricing and the federal government is currently consulting on backstop legislation that it will use to put in place carbon pricing in provinces that do not apply one themselves. The federal government is also working on a clean fuel standard, which will set performance standards in terms of fuels’ greenhouse gas emissions intensity – not only in transportation, but also in stationary combustion. The federal government seems to be in favour of electrification as a way to meet the clean fuel standard. That will also open up opportunities for wind energy because while Canada’s electricity is already mostly low-carbon, it needs to get even lower carbon going forward. Moving to a 100% decarbonised grid in the country is not primarily a technology challenge, it is a policy and a market challenge. For example, moving to a 100% decarbonized grid will require us to start making use of storage. Storage technology is evolving and moving forward in leaps and bounds. But the regulatory market frameworks, which provide an incentive to put storage into the electricity grid, are not moving as quickly. Ten years from now, the grid is going to look completely different. Canada will see more distributed generation, greater variety in the grid and more variability on the supply side. Since the existing regulatory and market structures will not be equipped to handle that, North American policymakers are working on ways to adapt them for the future. What is the role of conventional oil and gas companies and Crown utilities in the development of Canada’s renewable energy industries such as wind? A number of companies are repositioning themselves to move from being oil and gas companies to energy companies. These companies are rarely walking away from oil and gas; they are diversifying their product mixes instead. For example, Enbridge, which is heavily involved on the pipeline side, is now a major investor in offshore wind in Europe and onshore wind in Canada and the US. Secondly, Canada mostly has an electricity structure that is dominated by vertically integrated utilities. Historically, when wind energy was emerging in Canada, the utilities did not show much interest in it. It was governments that put in place mandates or directives encouraging utilities to engage with wind energy. Since wind and other renewables were considered highly risky investments, governments did not want Crown corporations to build new emerging renewable power generation infrastructure themselves. So they directed the Crown utilities to purchase clean power from independent power producers. This is why the overwhelming majority of Canada’s wind energy infrastructure has been built by independent power producers. This structure unfortunately created a competitive tension between the Crown utilities and the independent power producers. However, some of those barriers are being broken incrementally. For example, SaskPower, which is the Crown utility in Saskatchewan, is very supportive of wind energy playing a key role in reducing provincial reliance on coal-fired generation. In addition, Hydro-Québec just moved forward in proposing plans for exporting blended energy product packages of hydro and wind into the United States. Utilities overall are wrestling with defining their future business model as it is a time of great transition and change within the electricity sector. This is going to be the normal state of play for at least a decade. Within that change, there is a lot of opportunity. For example, TransAlta in Calgary has been required to shut down coal plants and is now planning to convert some of those coal plants into natural gas plants. More importantly, however, the company has indicated that it will not be building any new fossil fuel facilities in the future. This is a recognition of changes in customer demand, regulatory frameworks and the cost of power generation. How will Canada’s energy mix have evolved by 2050? By 2050 Canada will need to – and will be well positioned to – move to 100% electricity from non-emitting sources. Natural gas will help with the transition, but as carbon prices increase, and greenhouse gas emission reduction targets intensify, it will be more and more challenging for natural gas to compete. Energy storage will become more important and we will see greater collaboration between renewables and storage. We will also see more collaboration between jurisdictions as they work together to pursue opportunities to use renewables in more strategic ways so that they can replace fossil fuels efficiently on the electricity grid and in the broader economy. While wind energy will have an important role to play in that, it is not the whole story. For example, the Canadian Council of Renewable Electricity (CanCORE) was developed from the recognition that all renewable energy sources are not just potential contributors to the decarbonised grid, but also potential enablers of that grid. Hydropower’s base load capacity can play a tremendous role in helping to manage the variability of wind and solar as they come on to the grid. Wind and solar can be very good complements because wind production peaks in the winter and at night, and solar power is mostly generated in the summer and in the daytime. The 100% decarbonized grid will be provided as a package; none of us can do it on our own.